The research field of alternative education in Israel is relatively new. It presents us with research, also academic one, of the existing frameworks presenting themselves as alternative or educational spaces to which some or others components that choose to call themselves “alternative” have penetrated or pretend to penetrate. Nonetheless, alongside the “creativity” and “innovation” and now also the “meaningfulness” – “alternative” has become a banal and worn-out buzzword, one which demands us to stop and examine it closely. I would like to start our journey by asking the question what is so alternative about the alternative education. Before we move ahead in my endeavor, a quite complicated one, to answer the question I took upon myself, I would like to try and define – in quite an inclusive manner – the traditional education systems, mostly but also in what we call the “western” world. These frameworks, also referred to as humanistic, pretend to set the person in the center and offer him the idea that education and its practices will lead to growth, development and transcendence – towards what is good. Education is, therefore, the elevator that takes a person from a lower rank (of “not knowing” or “unable”) to an upper level of “knows “, “capable”, “worthy”, if you please. There, in that upper level, for example according to Plato, he knows what he does not know, he also loves wisdom, also gets out of the cave. There he has proven capabilities, since he overcame his voluptuous soul, transcended the sovereignty, tough he still does not reach the ideal he is definitely on his way there. And there is a way towards “there”. It’s a specific one, can be reviewed and examined. There, lies excellence, which is a worthy purpose. This purpose rejects dogmatism as well as the harmonious and proportional development of a full range and variety of human capabilities – physical to artistic. Education, therefore, is the realization of moral virtue. Its realization, according to those who claimed throughout the history of educational philosophy, can be achieved by shaping the character and training it until it becomes second nature. According to Aristotle, education is essential to men not because it is useful and not because it is necessary, but because it is one of the beautiful and appropriate things for a free men. History will summon upon the classical education these or other such twists. In summary, it demands from every person to develop and expend his personality by reference to the hierarchy that determines what is the virtuous in action, thought and creation, while promoting rational thinking, moral behavior and the ideal of human essence. These principles lie in the base of Israeli education, and are those who give the schools – as a bureaucratic institute and as a human space – the legitimacy to label people and rank them. This discourse does not discuss, for a long while, the quality of education let alone on its contents. Education, therefore, comes up to upkeep, an action of human storage – sometimes in a more friendly face of the innkeeper and sometimes in a less friendly face. Schooling frameworks have been given many justifications: from transferring knowledge, instilling tradition, preserving the hegemony, nurturing warriors, assimilating culture, to more down to earth presences such as institutions of fun and pleasure, a social institution where you learn how to get along with others, and even to essential institutions essential for obtaining a high-school diploma “because what can you do? C'est La vie", according to a student quite in tune with that nationwide reality. State education therefore, is the landlord of “scholarship” and holds the public franchise both practical and conscientious – to name a subject “learner” and eventually to determine who is and mainly what is “a successful subject”; this triangle of three powerful vertices: “learning is school”, “school determines who is a student or learner”, and “school determines who is successful” is the grand celebrated success of the education I called here state, traditional or governmental education. In short – school. Hence, teachers are no longer called teachers but “education employees”. The purpose of hiring them has become clear and also limited. From now onwards I would like to suggest that anyone or anything that does not support this position will be labeled “alternatives in education”. Meaning that every stream or educational act or even educational philosophy denying these three basic premises: the school has the (sole) right on the license (or franchise) on learning (and, therefore, determines its shape), the learner and his success – becomes the alternative. "The question of alternativeness is a one of degree and perspective" he adds that "the group that established this school wanted something different from what children were used to: creativity, choice, small groups. This is the repertoire of the different education, the other education." Here you have an example of Alternative education. Its definition: being different, other. What is that difference? What is that otherness? It is not always clear, in my opinion it is not clear to the alternativists. I would not argue here that they do not define themselves as alternative. They do. "school is a community of human beings in which all the different components are partners in building the life in a community that translates itself to all aspects of school-life starting with the decision making process to other things." I would try to follow his definition: different and other can at times be the same thing, but is characterized by one alternative element – a process in which all the people in the community are partners. Meaning different and other is in fact community. The need of communities and people in Israel, and not just in Israel, to be the landlord of education, meaning. School can eventually become one which contains regular classes, regular schedule, the Ministry of Education’s curriculum, but is alternative in one aspect – the answer to the question "to whom does this place belong?" Alternativeness here challenges the question of ownership. The state is not the Owner, say the people at the specific alternative school, but not just there, we are. This of course is not true, but as Rami says, "the question of alternativeness is a one of degree and perspective." Therefore, it is a question of classical relativism, if we, at this place, say that we are alternative – we are alternative. I wish to suggest an additional answer to Rami’s perspective. Alternativeness in education today is also people’s ability to establish for themselves, something that will enable them self-realization. This is Zionism style 2016, if you please, or Anti-Zionism style 2016, if you like. They want to be pioneers specifically in education. They want to do it by themselves. If the state of Israel embraces this alternative position – that includes, as aforesaid, just a request for a process – and transform it into an all-state process – it can preserve the state education under a blossoming alternativeness. Not just to maintain but to preserve them. It seems that many communities of parents want only one thing – belonging. And one more thing – therapeutic belonging. As for the rest they are willing to buy it from the state, because in the end, they believe in the state’s educational product and believe that the state knows “what is learning?”, “what a learner is?” and “what a successful learner is?”. Hence, it is an alternative education but not alternativeness in education. In other words it’s the same store but it is not part of a chain, rather a neighborhood store, a cozy one. People in the alternative school up north in Israel actually want to feel well. If it feels good to them or its right in their experience – it works. And it’s even alternative. This school can also have a slogan, a really alternative one (or at least this is what those who suggested it think): to feel good in the other and different school (which in the small print is "actually the same"). Then why Rami and the other people in the alternative school state: "we have great liberty in our system. Each individual will feel – both teachers and students a great deal of freedom"? In my humble opinion, the facts do not indicate that. However the feelings indicate otherwise. Hence, working on feelings or mainly the feeling of belonging – without a fundamental and substantial change in the contents or forms of learning (hence: practices) is the feeling if alternativeness. And for feeling people today are willing to pay good money. Feelings can be branded and in a flash they become a brand that has even a symbol, smell and feeling. A better feeling, of fun, of something that cannot be, defined in words and therefore I would try two words that sound alternative to me – different and other. The freedom of these alternativists is not challenging the system regarding decisions we used to call critical pedagogical decisions (what to learn, when to learn, and mainly whether to learn) however, in Rami’s words: "The individual’s desire to be heard". And in a moment of candor two other students told us: "We go to the teachers and tell them we have a problem, and they solve it for us. It is really nice." The alternatives in the educational process is a feeling of expression Vis a Vis contradictions and a feeling of a therapeutic place in the face of a major authority. These alternativists, but probably not just them, actually have a pretty regular school and they even don’t know it; yet they live feeling it is alternativeness. They fulfil a dimension of pleasure, happiness and self-fulfillment. They even claim to be entrepreneurs; according to them they create a coalition of entrepreneurship. They talk about the feeling of freedom that infects everyone and confronts the alienation; and seek to express voluntary groups as part of the manifestation of concern and caring. But in fact, they are not rebels, especially not against the three powerful vortices of traditional education. The principal of that school says that "we have a highly complex meaningfulness. It summons opportunities – an interaction, an intimate and familial sensation". Hence, it is not clear why these elements are the alternative ones, while the rest is completely traditional, not to say highly traditional. Therefore, the conclusion is that part of the alternative education provides an important casing, but a casing nonetheless. It was not always like this. The alternative education along its history did challenge the fundamental points of public, traditional, conservative education: the democratic education placed a harsh mirror in front of the traditional –state education, and determined, following Rousseau and Dewey, which a person learns all the time even if he is not part of a learning framework structured by adults. Democratic education severely criticized the alienation based on single-age learning, which encloses young people within groups chosen for them (with whom to learn) and suggested multi-age and sometimes multi-layered. It came out against the premises of Piaget’s developmental psychology, and assumed that a person can make bigger strides than the developmental stages enclosed for him using the professional jargon of professionals and professionalism, mostly of educational psychologists and entire theories that turned into entire institutions of formative hierarchy (meaning – educational counselors and the tracking, which Israel has been blessed with, throughout its existence, more overtly at times, and more covertly today). The democratic education also came out strongly against imposing the orderly curriculum, and suggested replacing it giving the learner choices and involving him in the learning process. The alternative streams that corresponded with the democratic education, gave it, and took from it, suggesting a partnership not in a therapeutic but an essential manner. It is not a partnership when I find it convenient, but a partnership that summons sharing, a call for responsibility. The question is not ”do you participate?” The answer being “you must participate because it is yours, because it is a democracy, because you are part of it”, and also: “you participate in spaces you feel discomfort or and an inner rebellion”. This partnership or participation, wants to stem from a lack of consent and existential discomfort because it wants to create a situation in which this place called “an education community” is a not a place without thorns – you sometimes need to walk through a painful field, one that bothers you, that annoys you, that makes you leave your comfort zone and safe zone; one that makes you look, shout, scream, and if possible even to identify and change your mind. This is of course the ideal; and its implementation unfortunately manifested itself in other forms in Israel, such as a selective and elitist education, which separated those with privileges from the unprivileged, thus making the Thorn field into a pleasant bed of roses where we encounter “people like us” who agree with us. The main alternativeness in these democratic streams lies in the question do we even need to study, therefore, in the consent that sometimes you do not need to learn or the child/adolescent can decide not to learn (even for long periods of time) and he is the one who chooses what to learn (and not the country) and most of all with whom he learns. Radical democratic alternativeness has also been challenged throughout the years by the mere question “who is the successful person” and it came out against, theoretically at least, against the position that an entity external to the learner – be it the National Authority for Measurement and Evaluation or the parents/teachers or any other arbitrary examination industry – be the one to determine for the learner if he is worth anything and mostly - how much he is worth. Just as the words “insufficient” are unfounded, they have become, nonetheless a labeling and tormenting grade. The anthroposophical education draws its educational structure, historically, from the Waldorf education. In Israel it does not challenge the state education foundations, yet it suggests a series of practices which are too simple a challenge (not to say to convenient one) for the educational, moral and public industrialization system. It even suggests a process of educational dialogue on issues of human development and in this matter it creates a space for growth and immediately closes it; providing a place of honor (rather extensive one) for the significant adult who will walk alongside the child for many years providing him not just with spiritual and physical provisions; but also to instill in him a meaningfulness held by, preferably of course, by the adult. Therefore, the same adult does not only groom he also the one who decides. In Waldorf education school, and as a result, the answer to the three vertexes of power enabling an alternative deviation – who determines what is learning, who determines what is the learner, and who determines which of the learners is successful – is foretold and quite banal, meaning, completely un-alternative . These are of course only two examples, but the alternative education in Israel had many and diverse faces along the years. 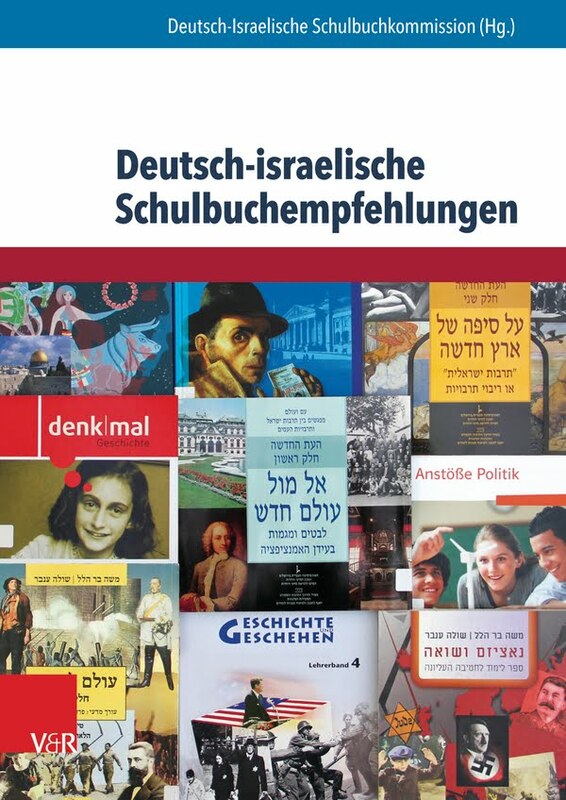 Dani Lasri’s Meitar, the Jacob Hecht democratic schools and its successors, Waldorf education, the bilingual education, Montessori education, Kedma School and of course the diverse forms of home education from home-education to home schooling. · Challenge 1: challenge of single-age learning – by creating multi-age alternatives in a highly creative manner. · Challenge 2: challenging the structure of learning in fields of study which sanctifies a rigid structure for example by attaching it to a system of evaluation throughout the years, for example by thematic learning across disciplines, multi-disciplinary learning or interdisciplinary learning. · Challenge 3: challenging the structure of learning in a regular school year divided into semesters, by forming an alternative system that suggests learning in periods using periodic projects or by learning throughout one period. · Challenge 4: the challenge of learning within the boundaries of a school which sanctifies scholastic homeroom classes, gyms, and laboratories, by providing extensive or restricted learning spaces outside of the classroom or even outside the school, some more natural than others. · Challenge 5: challenging group learning which in Israel sanctifies the organic group as part of group formation throughout the years and as part of an Israeli ethos of group/military formation and the project of building a nation by providing individual or virtual learning frameworks. 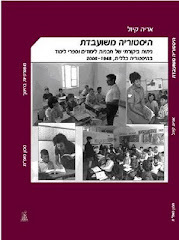 · Challenge 6: challenging the curricula of the Ministry of Education, which justifies the learning of a skeleton based curricula that underwent only a few fundamental changes throughout the existence of Israel; this by providing alternative contents which contain courses on subjects that are completely unaccounted for in the curricula. · Challenge 7: challenging the structure of the school ,which uses justifications based on developmental psychology and social integration – that is usually divided into elementary, junior-high school and high school by creating a growing educational community in one compound which will supply stimuli despite the age differences; stemming from the recognition that multiple ages holds a human, educational and pedagogical strength. · Challenge 8: challenging examinations or assessments, which are external to the learner that sanctify the structure of the Israeli and international examination system, mainly the system of matriculation exams and the preparation for the industrialized academic world; this by creating diverse assessments, dialogical, shared, alternatives (alternative assessments). · Challenge 9: challenging the relationship between the educational staff and the learners in the schools; that in Israel sanctifies the teachers as the authorities who lead the student, who seemingly strengthen the students self-esteem, who establish clear and necessary boundaries for him; by creating dialogical frameworks (parliament, mentors, joint committees) that wish to prevent the alienating hierarchy between students and teachers, that are not afraid of fluidity in the interpersonal relationship between older-younger people and vice versa. · Challenge 10: challenging the national narrative as leading (or enslaving) the education system to traditions; by embracing a multi-perspective set of values, that has room for national, social, ethnic, gender and other values. · Challenge 11: challenging the perception of "the adult figure desired by the system" which is part of the “requirement model” by creating frameworks where "the person builds himself" and "plans his learning" (alongside Zvi Lamm’s principle/logic of individuation) and as part of the “model of support”.
} Against any form of "institutionalized" learning – unschooling.
} Against institutionalized learning in schools – Home Education.
} Against institutionalized learning in schools(but not against it at home – Home Schooling.
} Against institutionalized learning in schools– Open Education (Meitar, The Dialogue Academy, Dani Lasri).
} 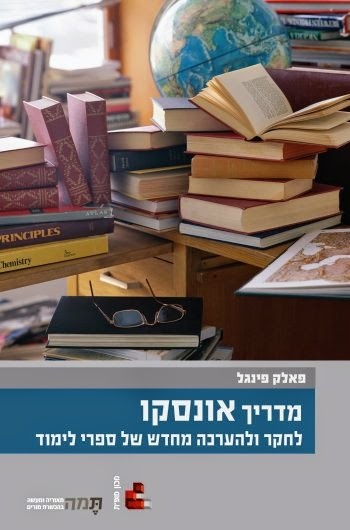 Against curricular learning in schools – Democratic education/Progressive Education (to this or other extent) – Jacob Hecht/Democratic schools in Israel.
} 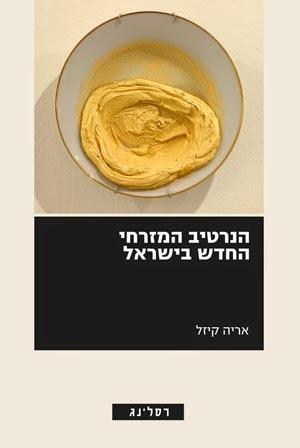 Supporting this or other stream – ultra-orthodox education, Anthroposophical Education, Montessori Education and etc.
} Against the narrative separating Jewish, Palestinian and other populations – Bilingual Education.
} Experimental alternative frameworks within the state/ classic education –the Ministry of Education’s Division of Experiments. Any alternative framework challenges the state education in a creative and different way. Frameworks and practices moved along the years from a complete, sharp, negative challenge to a partial, moderate and positive challenge. The motivations behind those challenges are numerous: from ideological initiatives to political objections, from national reasons to cultural claims, from social status motives to peripheral rebellion. However, these do not meet the theoretical framework to which I refer as "alternativeness in education". This in contrast to alternative education, wants to ask the fundamental questions that are not asked, those presented by Ivan Illich in his book Deschooling Society as well as John Holt in many of his writing. Especially How Children Fail? Illich was challenged into discussion on school by Everett Reimer in his book School is Dead: Alternatives in Education which also challenges the fundamental question about school’s structure and education. Illich, who nowadays is defined as a radical; (radical as many of us like to call everyone who is willing to delve into the main and deepest pains of education in a broader sense) claimed that general education lost because it was subjected to school authority. Then he set the first goal – a philosophical one: education will benefit if it is confiscated from the school authority. And why is that? Because school nurtures the ever growing dependence of the poor in institutionalized welfare through psychological impotence and inability to save them, so he said. If I may, I would like to add that: school victimizes students (as well as teachers) the victims. It victimizes them because it makes them psychologically impotent – that they cannot do without it – while what they actually need is a mechanism to emancipate them from education and the self-consciousness it creates in each of the learners (and at the same time in their parents and teachers). Years later, Emanuel Levinas will claim that western metaphysics created wholeness and will launch a fight for the possibility to deviate from it in favor of individuation. This is the same individuation which is eliminated in schools by the idea of formation of a collective, which by definition and by nature does not enable the person to be himself. The same collective, Levinas will argue, also does not enable the person to be alert for the summon made by the other. This summon, which is not a choice (like choosing where to volunteer as part of the 10th grade personal responsibility program) but one which awakens the ethics in men, which is immediate, which is not instrumental, which does not need to be learnt and taught, there is no need in merit scores or assessment certificates in the local school’s Friday’s lineup. Therefore, alternativeness, challenges the central concern of traditional education – or at least the distortion of the starting condition of traditional education – cataloging, labeling and promoting men under an orthodox education. Under the same categorization and labeling, men is a defected creature (a sinner since birth, if you will) and therefore he is insufficient, barely sufficient, almost good and so on. His human flaws need to be clinically addressed in the traditional education. Just like the clinic took over the entire public discourse, it also took over traditional education in all its aspects and set a cataloging, labeling, caring, supportive, and embracing language, which was meant to face one challenge – to which we referred to as the "entrapment triangle" – to enable the professional (some would say hegemonies) forces to preserve their control over learning, on determining who is a learner and mainly who is a successful learner. Therefore, Alternativeness in Education – and not Alternative Education – will ask (and yes, asking a question is embarking on a journey, and it's legitimate, even if the system encourages us to look immediately for answers and its better if they are short, one-dimensional and "real") why does the school deprive us from the power to control learning? Why does it create, according to Illich, a greater illusion upon which the system of education is based, meaning, that learning is a result of teaching? Why do most people acquire most of their knowledge outside of school and are still locked inside school doors? However, a question more significant that an alternative educator will ask is: why is learning shaped by the school and therefore, our students think that learning is school and the teachers are convinced that teaching is school? Thus, alternativeness in education breaks the paradigm learning equals the school. And as a result, learning does not have to be taught or molded into schools "many educators might view this claim as betraying my enlightenment", as Illich said, "yet enlightenment in itself is fading away in schools now"; and who if not we know that is true about our school. The theoretical framework of researching alternativeness in education (unlike the research of alternative education) needs to be driven by an attempt to challenge the language, turn it into an opposition to the traditional education’s triangle of entrapment; to undermine it and its foundations. This framework would require exposing the roles in the system of education: monitoring, sorting, indoctrination and learning. Following Illich’s footsteps, it needs to defy three assumptions that on which there is an only little dispute about today (especially on behalf of homeschooling and unschooling trends which are very restricted in Israel): children belong to school, children learn in school, children can only be taught in school. To that I would like to add, that nowadays alternativeness in education needs to challenge parents on those three issues and, therefore by its definition it will be anti-state, anti-traditional, anti-national or anti-religious, or at least post-state, post–traditional, post-national and post-religious. Alternativeness in education would have to challenge "institutionalized wisdom" stating children need school and cannot do without it. Of course this institutionalized wisdom, according to Illich, is a result of the school which gives birth to the teacher as a guardian, preacher and healer. Today, school added to each of these roles more embracing names, if you like: a significant adult, state, accountability (previous Minister of Education in Israel though he had to be present together with his teachers during all hours of day, and be significant for them even at night) school support, as well as other names that actually wish to fixate the school and tighten its grasp on our minds as "something we cannot do without". I would like to conclude following Illich and claim that alternative education, as aforesaid, are frameworks or ideologies; however, alternativeness in education wished to oppose: the myth of institutionalized values that lead to an endless consumption, to the belief that stuck to learners – that learning has no horizon, and has no hope, except for a set of quantitative values which measure the person and at times even his body.